Helping you stay Fabulous & Fit EVERY DAY! click this over here now Homepage In July of 2013, I joined a clean eating challenge group and have been on a clean eating “journey” ever since. I try to eat clean for about 75 % of my week. One of my favorite recipes was one they had for a bean patty. Truth be told, I have been eating this for lunch about 4 days a week since then. 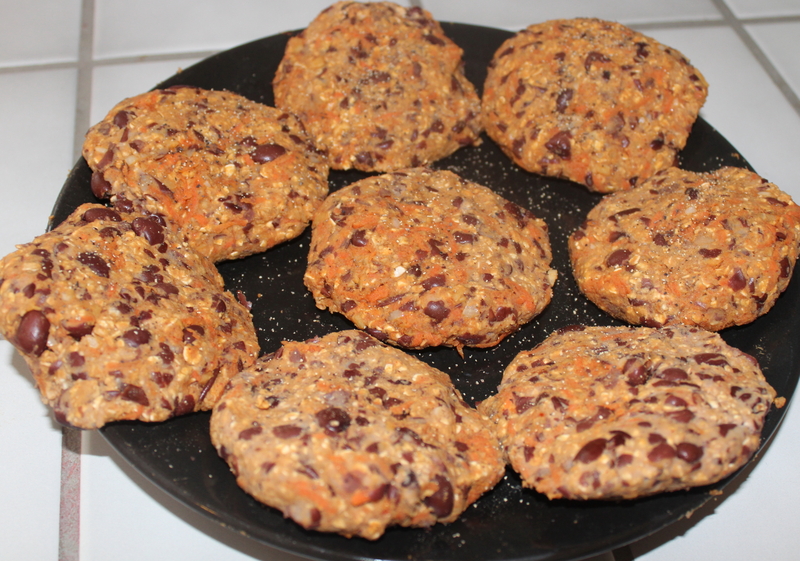 I have modified the recipe and made a few tweaks to make it taste better in my opinion. They are super easy to make, portable, and tasty. This recipes makes 8 patties, so you can have your lunch for the week. You can refrigerate the patties and heat them up (if so desired) as you go. Line a skillet with the EVOO, saute the carrots, garlic, chili powder and cumin on medium for about 3-4 minutes. Take off burner and set aside. 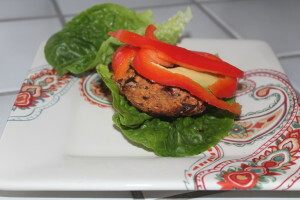 Form 8 patties and sprinkle pepper on top (patties should look like picture below). BBQ patties at 325 degrees for 6 minutes on each side. 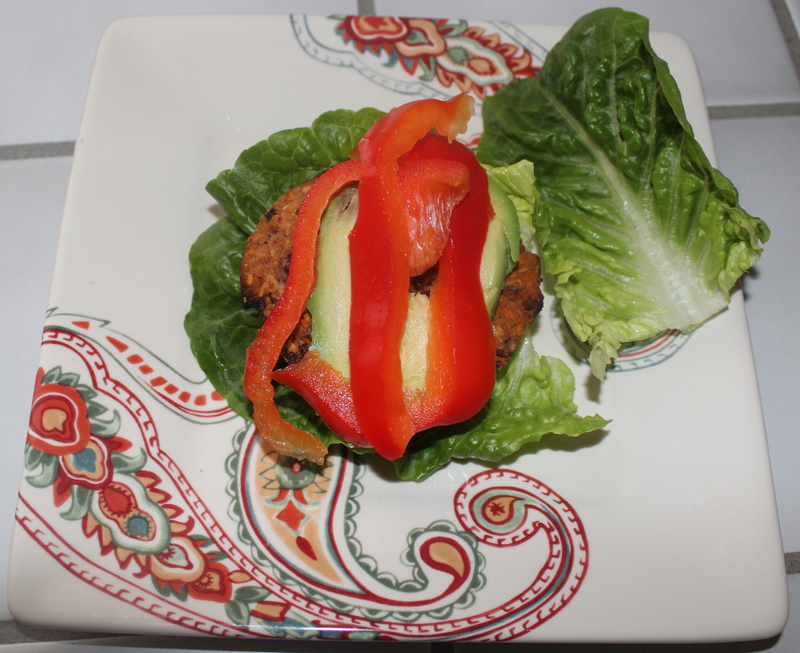 Serve on a lettuce bun with a slice of avocado and slices of red pepper. I also like to add salsa or mustard. Store remaining cooled patties in an airtight container to be used later. Get your FabFitBites right off the presses in your inbox!